I used to hate going to Narita Airport. Although it’s considered to be Tokyo’s main international airport, it’s nowhere near Tokyo. Compared to Haneda Airport, which is just a mere 20 minutes away from the city center, it used to take a full hour to get from Narita to Tokyo Station. 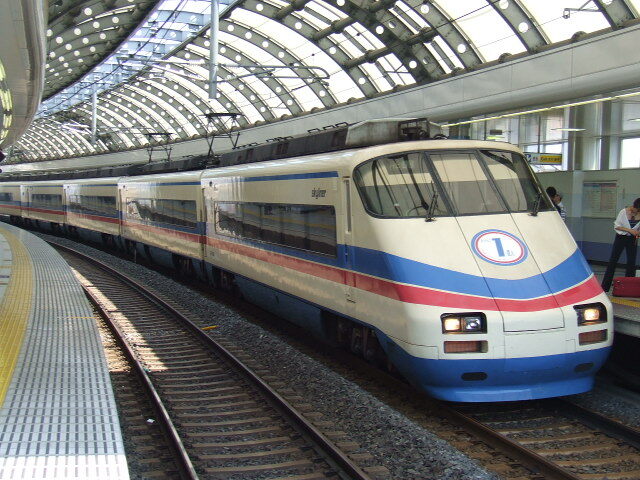 Prior to July 2010, you had two main (railway) choices to get to Narita Airport: JR East’s Narita Express (NEX), and Keisei’s (old) Skyliner. Keisei Skyliner prior to July 2010. Currently renamed as Cityliner. The time it took to get to the airport was about the same as their lines ran almost parallel to each other, and the price was only a couple hundred yen apart. When it came to choosing which one to ride, it was usually decided by which one would depart first. Then, in July 2010 Keisei utilized an abandoned section of line, rebuilding new track while using pre-established lines. This provided a straightshot to the airport cutting the transport time nearly in half (depending on where you board/get off). 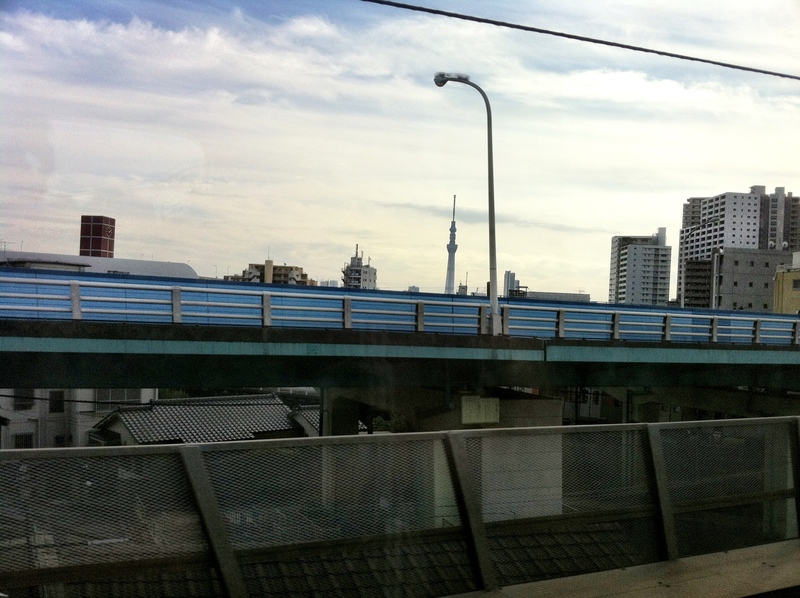 Not only is the Keisei Skyliner faster than the Narita Express, but it’s cheaper as well! 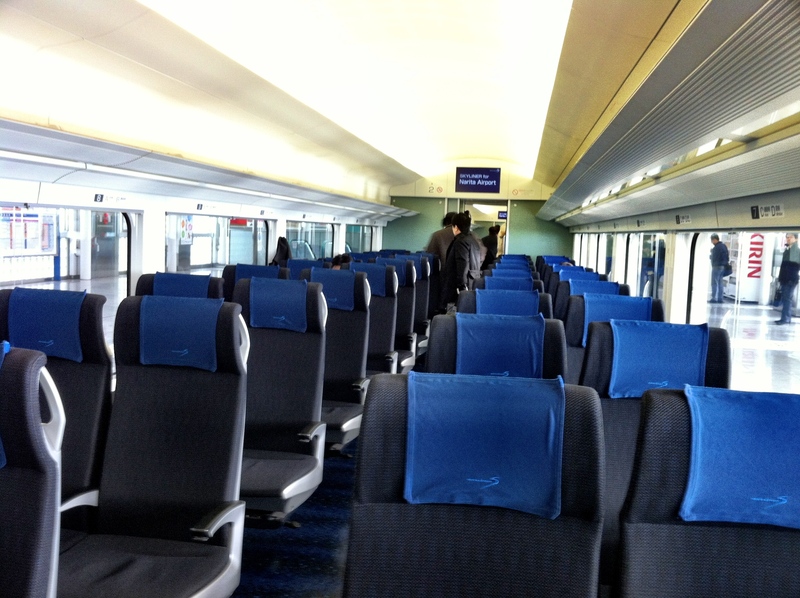 In Japan, the fare is determined by the distance travelled plus an express seating fee. Not only is the Skyliner faster than NEX, it’s also cheaper due to the shortened route. But price and time aside, the Skyliner has become my preferred method to getting to the airport. 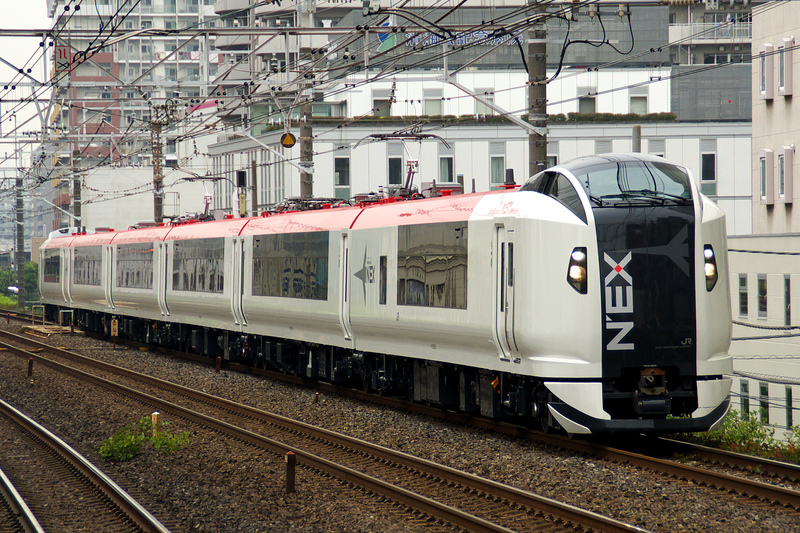 Along with the new route, Keisei also introduced a new train set to use, which is a design that stands out among the best of the best in the country. Who ever designed the interior put a lot thought into what kind of services would be convenient for those travelling to and from the airport. 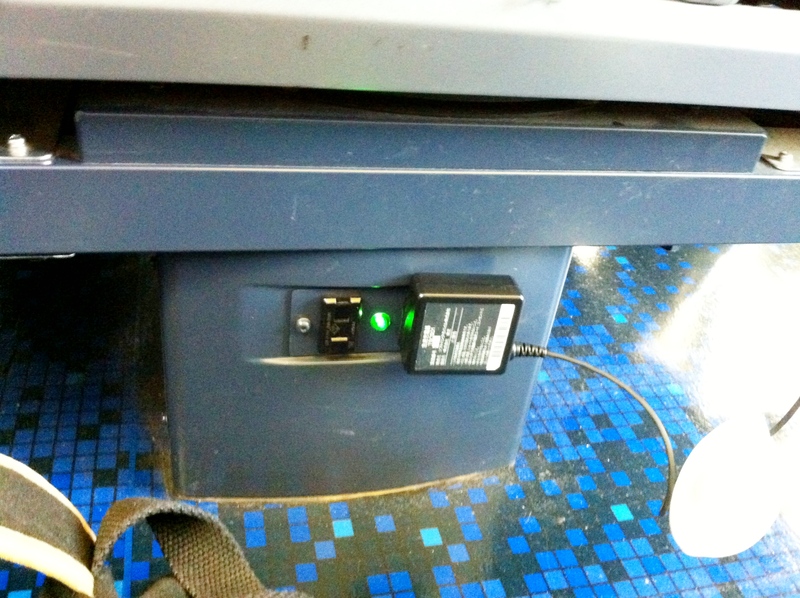 For example, at the foot of each passenger, there are a total of 4 plug outlets; 2 in the front and 2 in the back. Plenty to recharge your phone, computer, Hello Kitty camera and whatever else. The seats themselves are spacious and there are designated places at both ends of each car to put your luggage, no matter how large it is. Cameras have also been placed around the luggage area as a theft-prevention device. My last piece of praise about the train has to be the view. For first-timers coming to Japan, arrival into Narita Airport maybe a bit of a shock. Most of those coming in already have the misconception that they’ll be surrounded by the glow of Tokyo’s lights as soon as hitting the jetway. But since you’re flying into Chiba Prefecture, not Tokyo, you’ll get a lot of farmland instead. However, the closer you get to Tokyo, you’ll see the vast rice patties dwindle down to backyard tomato gardens as Tokyo’s many skyscrapers and towers move into view to dominate the landscape. It’s a nice transition to help you settle into the madness, which is Tokyo. Upon arrival into Nippori or Ueno Station, it’ll give you a great view of Tokyo Sky Tree (opening to the public May 22nd!). Other onboard services include a vending machine, HUGE bathrooms, onboard signage available in 4 languages. Although the Skyliner provides the quickest method to Tokyo, there’s a fleet of trains, buses, taxis, and even a helicopter to get you where you need to be. It all comes down to preference (or a deep wallet if going by heli. Only ¥280,000!!!). Any questions or comments, feel free to leave them below and I’ll answer quickly. 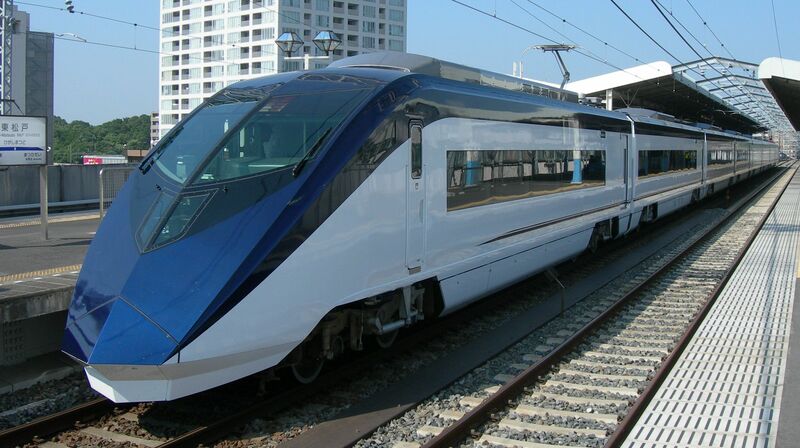 Keisei Skyliner – (English) Official webpage of the Skyliner. Includes a timetable that can be downloaded in PDF format, and ticket information. Narita Airport Access Information – (English) Has links for a variety of methods getting to and from the airport.